Most Russian universities (9 out of 13) have seen their standings slip in comparison to last year. 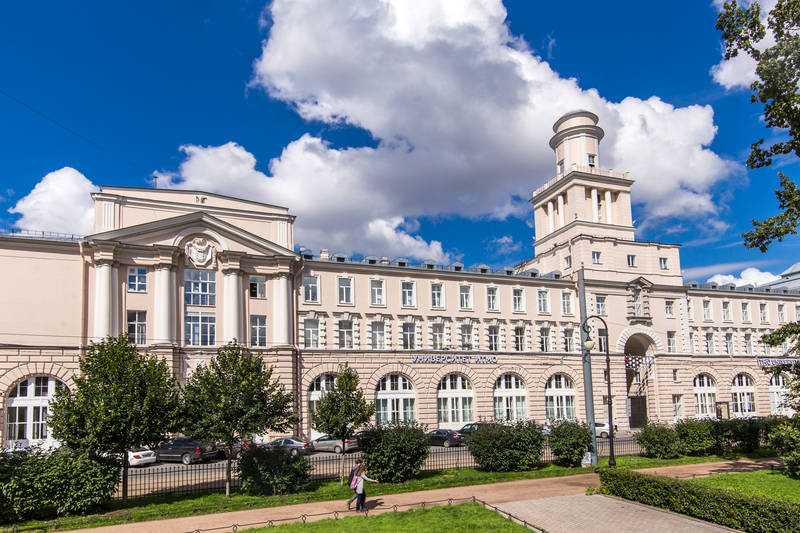 Photo: ITMO University in Saint Petersburg. Despite the introduction of the Bologna model of higher education, Russian universities are still finding it difficult to meet the criteria of Western rankings. Experts talk to RIR about the problem of including Russian institutes in such global lists. A total of 24 Russian universities have made it into the 2016-2017 THE World University Rankings Compared to last year's list, Russia has nearly doubled its presence: This year’s ranking features 11 newcomers. The three Russian leaders in the Times Higher Education rankings, published on Sept 21, are the following: First is the Lomonosov Moscow State University (MGU), which came in 188th place; second is the Moscow Physics-Technical University (MFTI); and third is the St. Petersburg National Research University of Information Technology, Mechanics and Optics (ITMO). However, most Russian universities (9 out of 13) have seen their standings slip in comparison to last year. The THE survey, one of around 10 global rankings in the world that study universities' academic reputations, is based on 13 indicators grouped into five categories: education, scientific research, recognition, internationalization (the number of foreign students) and innovation. The rankings also take into consideration the universities' research funding in dollar value, an indicator that for Russian universities has been influenced by the ruble exchange rate. "The THE ranking is more difficult for Russian universities than other world rankings. In particular, it takes into consideration the universities' research funding in dollar value, an indicator that for Russian universities has been influenced by the ruble exchange rate," said MGU rector Viktor Sadovnichy, commenting on the results. However, the financial issue is by far not the only indicator for evaluating Russian universities. It turns out that the international rankings' system and method is oriented towards the Western education model. "This is because leading rankings agencies such as THE and QS have British origins and are better acquainted with the education system established there. Russian education has its particularities and specifics and Western rankings do not consider it in its entirety,” said Vitaly Bagan, director of the strategic development department at MFTI. Bagan explained that whereas most Western universities are classical universities, which prepare specialists for a wide array of professions, in Russia it is the specialized universities that are historically strong – they were created with concrete objectives. “For example, MFTI was established to prepare the intellectual elite for the natural sciences, ITMO for creating leaders in the nuclear industry, the Sechenov Moscow State Medical University for preparing high-quality doctors," said Bagan. Despite the fact that Russia signed on to the Bologna Process – a series of European agreements aimed at creating a standardized system for comparing educational qualifications – in 2003, the Russian higher education model, in comparison to the Western model, still possesses a significant distinguishing quality: dividing universities according to subjects. The non-classical Russian universities aim to make it into the global academic rankings, but it is not so easy. "When the general rankings are being conducted specialists in all subjects are asked to evaluate the university according to indicators in the most diverse disciplines – from physics to art history. Therefore, it is natural that universities that prepare experts for one specialized field will receive fewer votes," said Bagan.